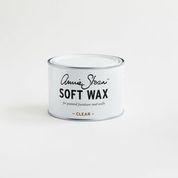 Annie Sloan Soft Wax is the consistency of soft margerine in a tub so it is easy to apply, is completely colorless and has very little odor. 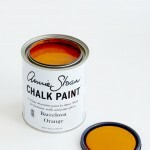 It is water-repellent so can be used on dining room tables and kitchens. 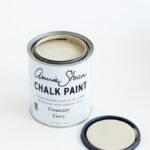 Wipe clean regularly with a damp cloth although for tough marks use a proprietry spray cleaner and rewax. 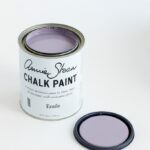 Annie recommends applying Chalk Paint® decorative paint, waxing it and then sanding it for the best results. 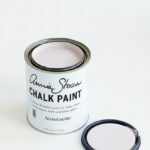 You can also color the Clear Soft Wax with a little Chalk Paint®.